With 1920x1080 as the established standard for home theater projectors, it is easy to overlook the vast improvements being made in less expensive, lower resolution products. But there is a lot of exciting action in the sub-$500 price category. If you want a great picture on a low budget, you need to look no further than the new Viewsonic PJD5555W. Firing up this small portable projector is a treat. The first thing you notice is the low fan noise, then the bright picture. Once you open the menu and flip through the color mode options, it becomes quite obvious that Viewmatch and Movie modes deliver solid color balance and very good contrast right out of the box-no fiddling with the picture controls is required. The native resolution on this projector is 1280x800, not the standard 1920x1080 you get on more expensive home theater projectors. But the picture is quite smooth and well-integrated with no visible pixelation from any normal viewing distance. Details such as hair and fabric are remarkably sharp and well-defined despite its lower resolution. 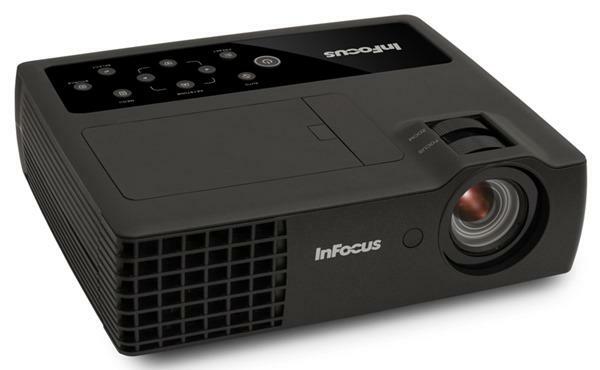 If you want an inexpensive projector that performs exceedingly well with no calibration or muss and fuss required, this is it. Do you know if the menus allow for you to set the screen aspect ratio to 16:9? I have seen some 16:10 projectors which don't allow for this, so when you plug in a computer, the resolution goes to 1280x800 and with a 16:9 screen, it doesn't fit properly. With projectors that allow you to tell it (the projector) that you are using a 16:9 screen, it always uses 1280x720 resolution and doesn't ever use the 80 pixels above/below the image. Yes, it has aspect ratio controls. Did you do any measurements of the black level, contrast ratio, etc.? I know at one point a couple of years ago there was a little bit of buzz around the PJD5533W for having unusually good contrast for the price (nearly 3000:1, I believe), and I'd be interested to know if this new model is also exceptional in that regard. THE VIEWSONIC HAS A GREAT HDMI PICTURE WITH ADJUSTABLE SCREEN 4:3,16:9,16:10 OR WIDE WHICH ALLOWS FOR A HUGH AND SUPER CLEAR PICTURE! GREAT PRICE FOR 10,000 HOURS!